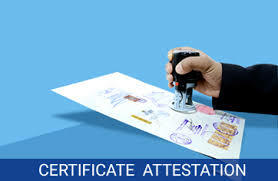 Kenzaservices is a certificate attestation agency located at Qatar. Education certificate and non- education are the main certificate attestation provided by Kenza. PRO services, embassy services, Indian emigration services, visa services, legal translation services are the main services of Kenza. To ensure that our client satisfaction, we are providing 24 hours customer support.